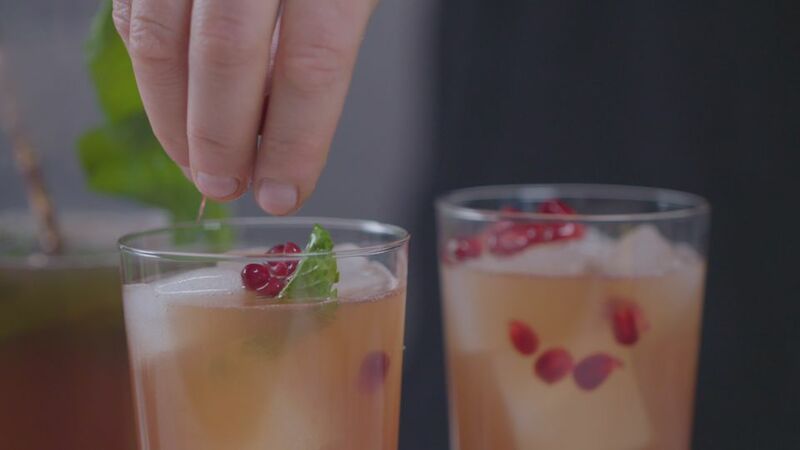 Light and refreshing, these pomegranate mojitos are the ideal party drink for all of your fall events. Ease into cooler weather by mixing the fall fruit into your favorite summer spirit. This recipe serves a small crowd of friends and you can easily double or triple the batch to work for a party. Add 1 cup fresh mint leaves and sugar to a large pitcher or mixing bowl. Using a wooden spoon, lightly crush the mint until it’s aromatic. Add the rum and lime juice and stir well until the sugar completely dissolves. Add the pomegranate juice and club soda. Stir again and add the pomegranate seeds.